They inspect, examine and just plain snoop. 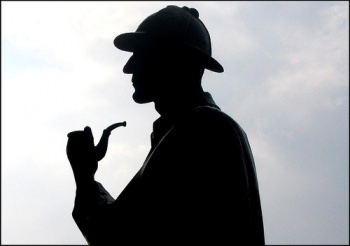 Let's see how much you know about these famous (and not so famous) detectives. True story: When I was little, I wanted to be a detective more than anything. I had my own little fingerprint kit and everything, and thought for sure that I was on a path to be a mighty mystery solver like Sherlock Holmes. Turns out that being a detective isn't quite so glamorous when you don't have an arch enemy planning overly complex heists and schemes, so I learned to content myself with living vicariously through fictional sleuths like the ones featured in today's quiz. We've pulled questions from the realms of film, comics, games and novels. As always, you can take as long as you like to finish the quiz, and can retake it if you haven't quite achieved that 100%, but keep in mind that your cumulative time will impact your position on our leaderboards. Get out your deerstalker hats, and follow the clues.